"With our devices, we want speed, efficiency, and we want small. Polaritons could offer the answer," said Tony Low, a University of Minnesota electrical and computer engineering assistant professor and lead author of the study. "Layered two-dimensional materials have emerged as a fantastic toolbox for nano-photonics and nano-optoelectronics, providing tailored design and tunability for properties that are not possible to realize with conventional materials," said Frank Koppens, group leader at the Institute of Photonic Sciences at Barcelona, Spain, and co-author of the study. "This will offer tremendous opportunities for applications." "The study of the plasmon-polaritons in two-dimensions is not only a fascinating research subject, but also offers possibilities for important technological applications," said Phaedon Avoruris, IBM Fellow at the IBM T. J. Watson Research Center and co-author of the study. "For example, an atomic layer material like graphene extends the field of plasmonics to the infrared and terahertz regions of the electromagnetic spectrum allowing unique applications ranging from sensing and fingerprinting minute amounts of biomolecules, to applications in optical communications, energy harvesting and security imaging." "Every time we look at a new material, we find something new," Low said. 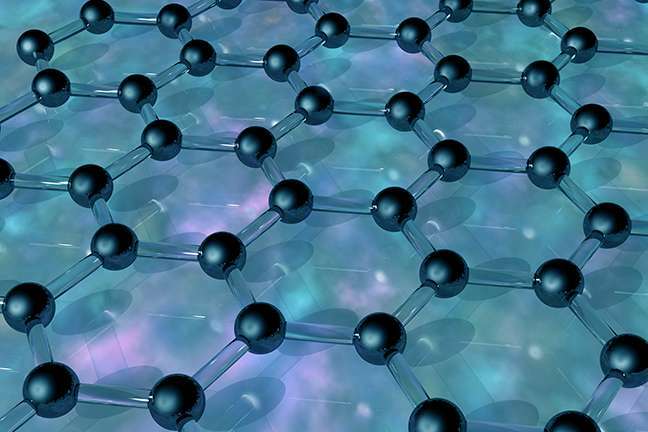 "Graphene is often considered a 'wonder' material, but combining it with another material may make it even better for a wide variety of applications." To read the full research paper, entitled "Polaritons in layered two-dimensional materials," visit the Nature Materials website.